Once you eat a fresh, ripe peach plucked from the tree, you will wonder why you ever ate one of those rock hard things you buy at the supermarket. Taste for yourself! 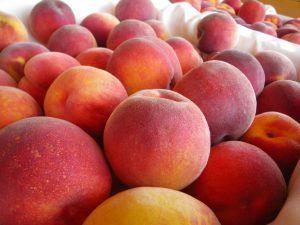 Our peach season runs (generally) from mid-August through mid-September.